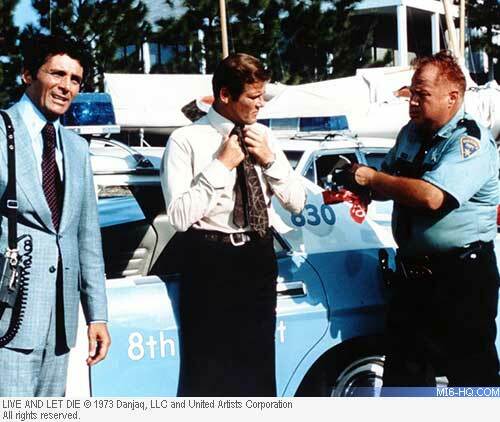 On 'Live And Let Die' Syd Cain was the production designer, Bob Laing was his art director and I became his location art director. By the time I went out to the Bayou they had already made one or two trips down to New Orleans. However, when Guy Hamilton, Harry Saltzman, Peter Hunt and myself went out to New Orleans to have a look at all the locations they had previously found, by the time we got there, all the vegetation had grown and you couldn’t see a thing from the road. Guy said to me, “You and Steve Skloot get yourself a helicopter and you better find us the locations all over again. We’ll go on and do the recceing of Jamaica and we’ll be back in a couple of weeks and we’ll continue the recce.” So, we got into a helicopter and helicoptered all over and I’ve got a big book at home with all the boat chase recce photos. We did it by air and then we did it by boat. We met this family Slidell, LA who were absolutely amazing. The husband came out and said, “Hey fellas what are you doing?” And so I said, “We’re with James Bond.” And he said, “Come over and have lunch.” So his wife almost became our unpaid location manager. She knew everybody. One of her best friends were the Treadways who had the garden where the boat went through the wedding. 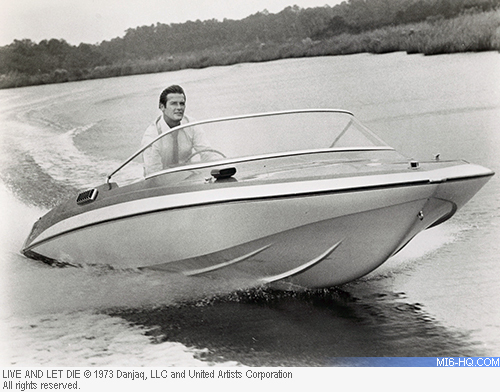 By the time they all got back from New Orleans and Jamaica we’d got the boat chase scouted. We didn’t go round it, but Guy said “Right,” and turned to Tom Mankiewicz, the writer, and said, “Write the script”. They all went away again and came back and we talked through his work and then we simply started to shoot it. 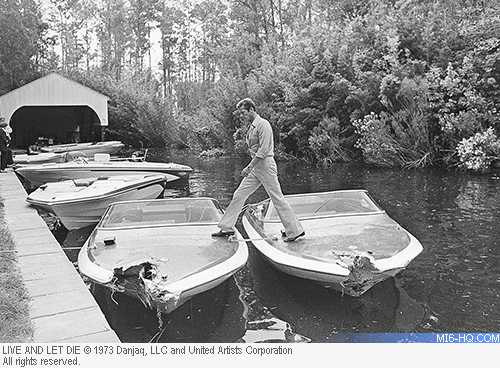 In that time we’d been out to Austin, TX and bought 29 boats. There was a lot going on. 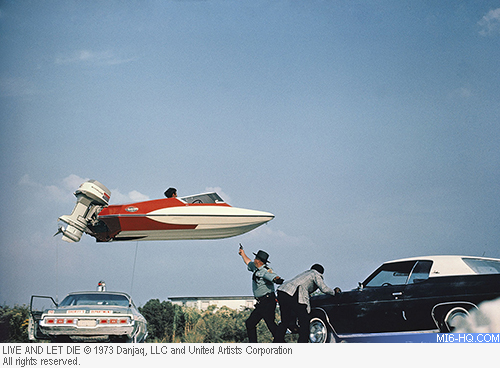 One day on location Guy said to me, “There are these strange lakes with little islands on them and when you’re next in the helicopter, find out how to get in them.” I had the helicopter out with Derek Meddings one day and Guy was up with Jerry Comeaux, the stuntman/boat-master. I said to Guy, I’ve found the way into that place you want to see. He said, “Oh great,” and we took two boats with us. We took a CB-19 and another pump boat. It was Derek, Guy, Jerry and I. We got to a place where we could get in and they said, “Which way?” and I said, “Let’s go left.” So, Jerry did a big turn and roared through into the lake. We’d gone about half a mile and suddenly we came to a shattering stop. Jerry said, “I think we better have a squiz at the back. He jumped over the side and said it’s not water, it’s mud. We’re going to have to walk out!” Derek jumped over, then Guy and I; I went almost up to my neck. I got back in and had to balance my camera on my hat. We were getting back to where we’d come in and came across one or two of these little islands with all dry vegetation and I made the crack about there being alligators and Jerry said, “Oh there probably is.” After about an hour and a half we got back to where we’d got in. I can’t tell you; if you’d seen us up to the armpits black with mud. There was no communication so Jerry had to go in again and get his brother come back with the boat. 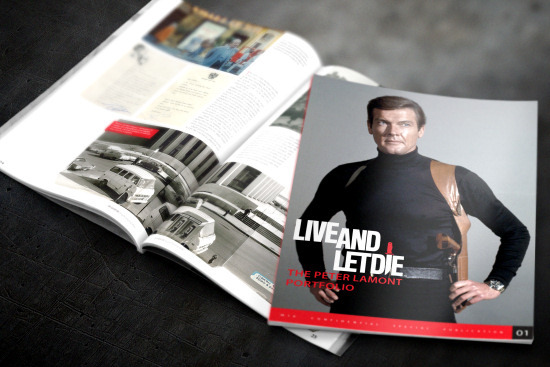 Peter had many more adventures in the US for Sir Roger Moore's 007 debut he recently documented in Live and Let Die: The Peter Lamont Portfolio published exclusively by MI6 Confidential as a 100-page perfect bound special issue. 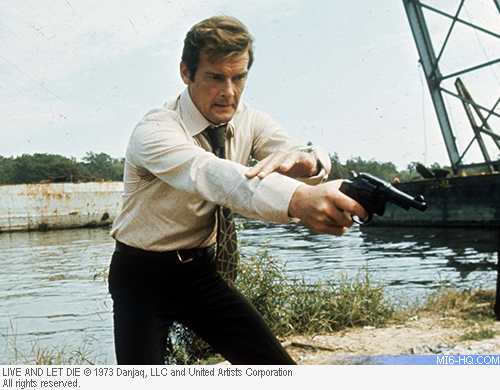 Opinion What were Bond's drinking habits across the books and how do they differ in the films?